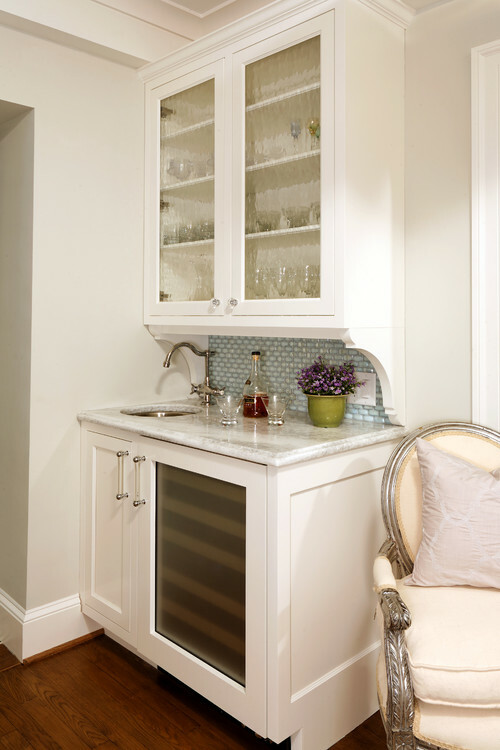 In order to convince my husband that we should turn our family room wet bar into a home office space, I have to prove that there was a better location for our beer fridge and wine rack. 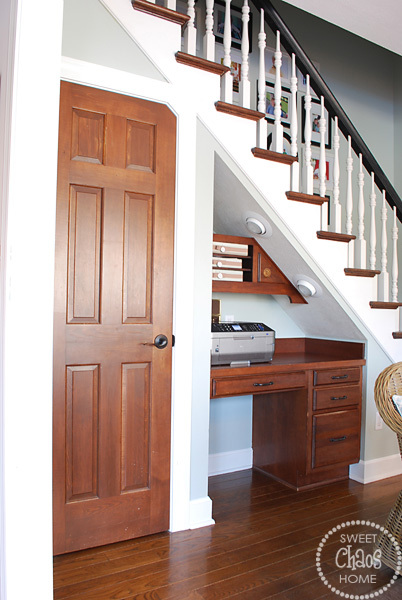 Under the stairs in our kitchen is a closet and a very small desk that basically becomes the dumping ground for all our clutter. 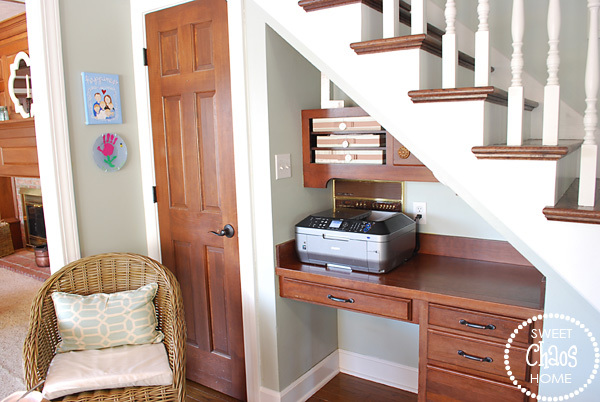 (I cleaned it up for you :)) The printer takes up all the surface space, so no one really works at the desk. 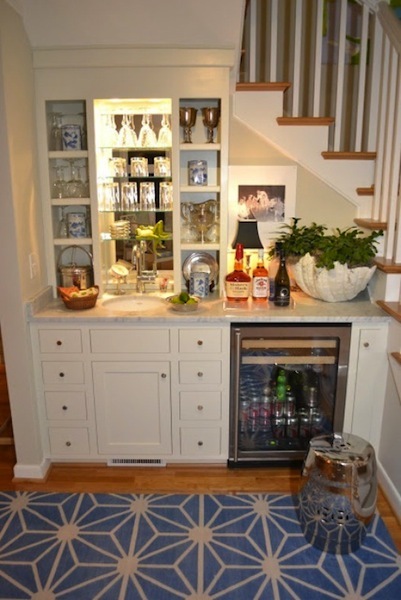 If we were to have built-ins in the family room that could accommodate the printer and store the paper clutter behind closed doors, we could turn this space into a beverage center. 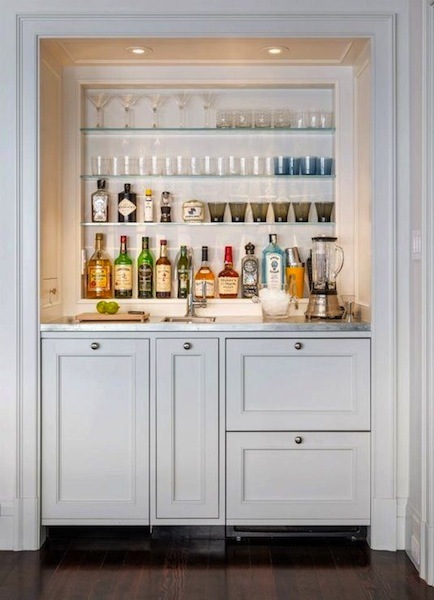 Call me crazy, but I think it makes much more sense to have a bar in the kitchen, where you pour drinks over the hardwood floor rather than the carpeted family room. Don't you? can't wait to see! 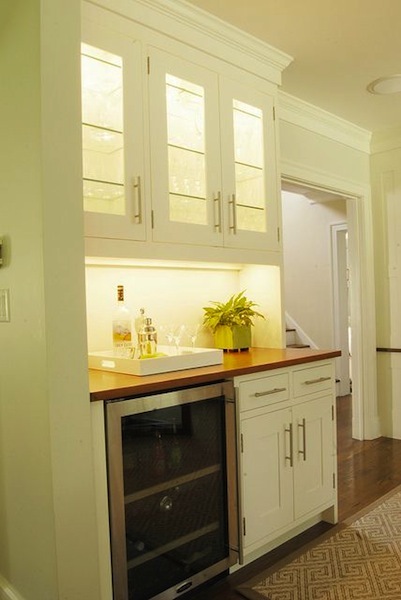 we actually had a washer dryer space in our den in a little closet that we turned into our wet bar...I love it..just put in some upper cabinets and a very cool antique credenza below and it's just the perfect space for it! OMG that's awesome!!! I love this idea!! What a great idea Carolyn. I like that first one a lot, but they're all great. And yes, better than pouring the drinks on carpet. Can't wait to see what you come up with. I know it will be fantastic. 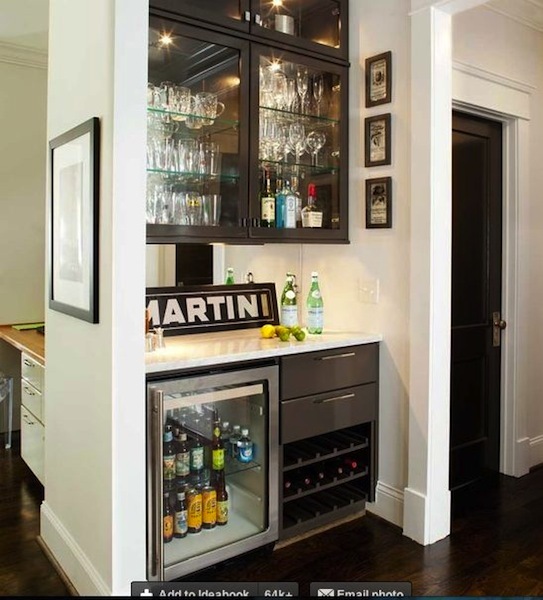 Great idea...that is the perfect place! 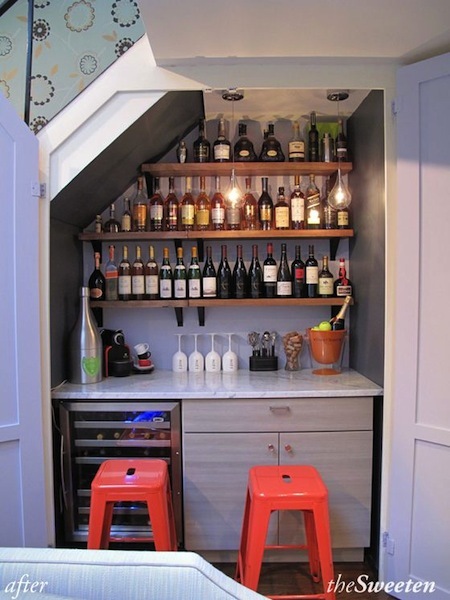 I love that use of space under your stairs for your bar! 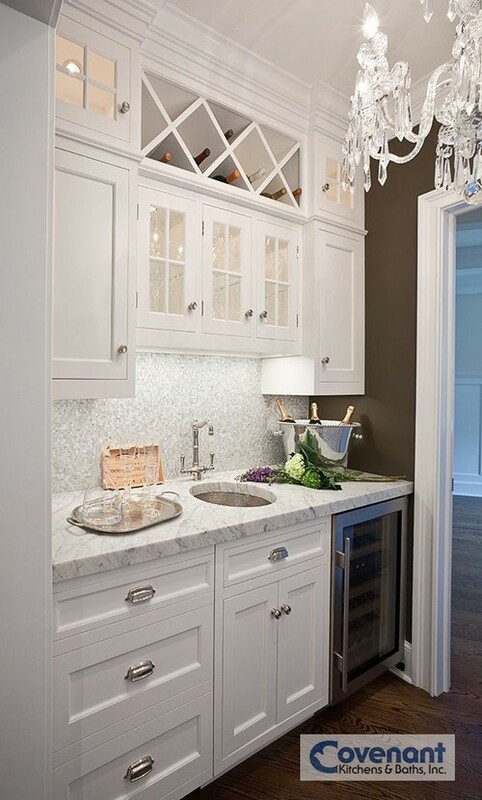 What a great little niche, it's perfect!